Leslie Lewis is one of the entertainment industry’s leading creative and management consultants. Her expertise brings together past roles as a record executive, producer, marketing executive, A&R executive, motion picture music studio executive, soundtrack music executive, and as the former Director of The Recording Academy's Producers & Engineers Wing. 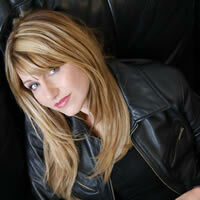 In 1995, she Co-Founded and has continued as Producer of the successful GRAMMY® Nominees album series. Among the artists Lewis has consulted for are included, Paul Simon, Paul McCartney, Iggy Pop, Jack White, Radiohead, Beck, Chris Stapleton, Harry Styles, Seth MacFarlane, Harry Shearer, St. Vincent, Arctic Monkeys, Keith Urban, Alabama Shakes, Margo Price, Brandi Carlile, Courtney Barnett, Maren Morris, Flume, Zedd and others. As a soundtrack executive, music supervisor, and music consultant, Lewis has contributed to almost sixty films and soundtracks such as Titanic, James Bond: Tomorrow Never Dies, Slingblade, Grosse Point Blank, The Nutty Professor, Face Off, Mission Impossible, Romeo & Juliet, Scream III, Anchorman 2: The Legend Continues, The Secret Life of Walter Mitty, Muscle Shoals, Ted, The Gambler, and more. She also serves as a film/TV consultant for Universal Music Group Nashville. Lewis has also appeared in a number of editions of Two Thousand Notable American Women, and has received recognitions from various organizations such as the Musicians’ Institute, The American Federation of Television and Radio, The National Academy of Recording Arts and Sciences, MusiCares and the Mr. Holland’s Opus Foundation.